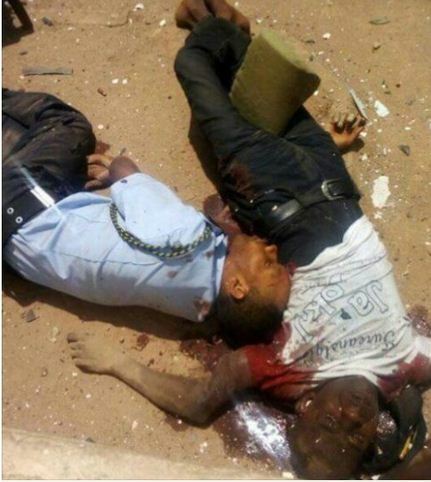 Suspected armed robbers killed two policemen at a Skye Bank branch in Ifon, headquarters of Ose local government area of Ondo state, on Thursday. 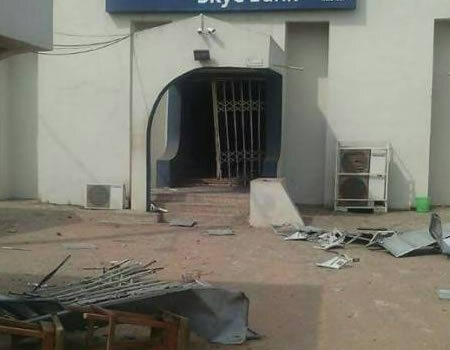 A witness said the suspects numbering 15 stormed the premises of the bank around 3pm. He said they blew up the bullet-proof door with substance suspected to be dynamite before gaining entrance. 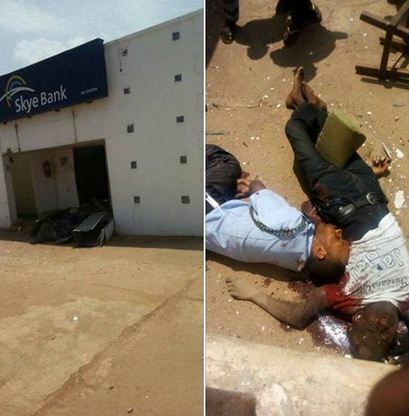 A yet to be identified man at a medical clinic beside the bank was also reportedly killed. “On entering into the bank, the robbers packed all the money in the vault, while some of them engaged the policemen in a gun duel outside the bank,” the witness said. “They were heavily armed. When they got to the bank, they could not enter easily because the bank had stopped attending to customers. So, they had to blow the door up with dynamite. Confirming the incident, Femi Joseph, police public relations officer in the state, said the command deployed more officers and men in the scene. He added that Gbenga Adeyanju, the state commissioner of police, also visited the bank. “It is unfortunate that we lost two of our men in the incident, but we are still on the trail of the robbers, they went to the bank with sophisticated weapon and inspite of that our men still engaged them,” he said.